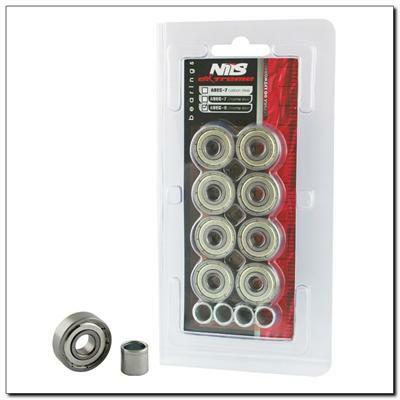 ABEC 9 CHROME Nils Extreme bearings are a very precise ball bearings, made of highest quality chrome steel. They have the lowest rolling resistance which results in the highest speed capabilities according to American standard Annular Bearing Engineering Committee (ABEC). Another important parameter of those ball bearings is their eccentricity – roundness on the track in the inner race, that is only 0,0012 mm. 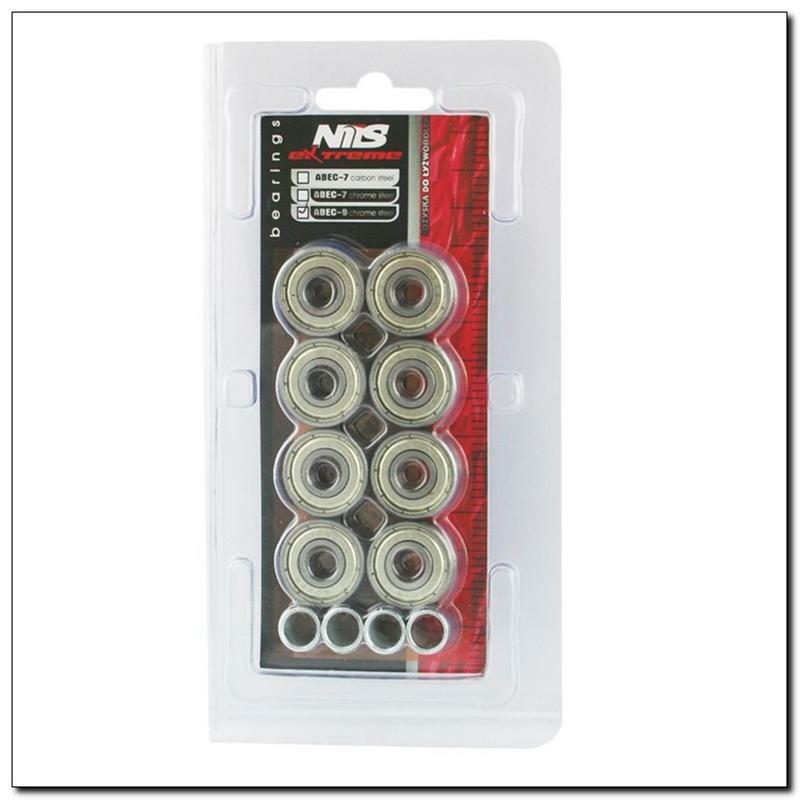 ABEC 9 CHROME Nils Extreme bearings are intended for inline skates, skateboards and scooters.